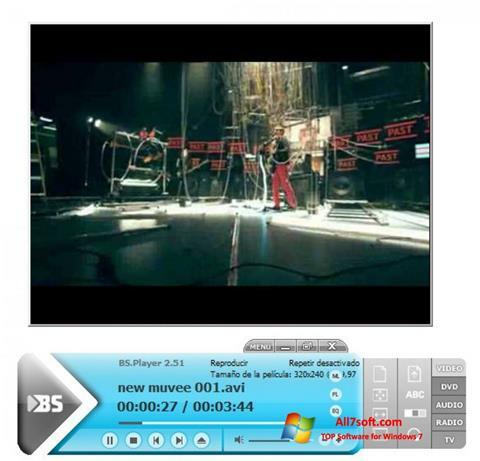 BSPlayer for Windows 7 - media player that works with a large number of video and audio file formats. Thanks to its own playback algorithms, there is a minimum load on the physical memory and processor. Support for skins allows you to customize the appearance, and a elaborate menu will help change the technical characteristics of audio and video files during a session. This player is amenable to easy customization for a specific user, thanks to the flexible configuration options. The laconic design is not loaded with information and helps to navigate the functionality. You can free download BSPlayer official latest version for Windows 7 in English.